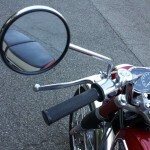 Restored 1968 Kawasaki Samurai Motorcycle. 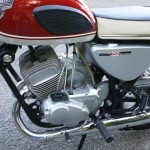 This great Kawasaki was completely restored by its owner. 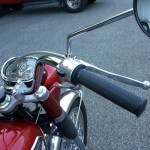 All of the black parts were professionally powder coated in 70% gloss. New steering head bearings and races were installed. Every chrome part was either re-plated or replaced. 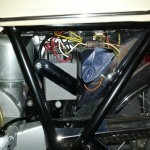 Every nut, bolt, washer and electrical item was checked and then painstakingly re-assembled. All of the rubber parts, (grommets, insulators, peg rubbers, grips, shift and kick rubbers) were replaced with brand new genuine Kawasaki items. 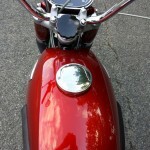 The engine covers were replaced with brand new ones with original paint. 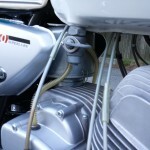 All of the worn carburettor parts were replaced including the very hard to find needle jets. 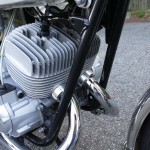 The engine was rebuilt with brand new standard bore pistons, rings, pins and bearings. 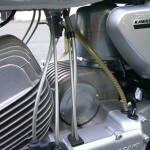 New genuine Kawasaki cables were fitted. 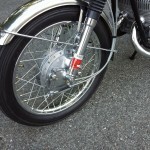 The wheels were rebuilt with genuine Kawasaki spokes. 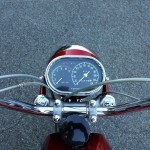 A great restored Kawasaki A1 Samurai Motorcycle. 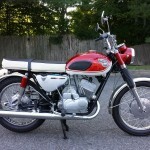 Kawasaki A1 Samurai – 1968 For Sale or Wanted? If you're looking for the perfect Kawasaki A1 Samurai – 1968 for sale then take a look at the hundreds of restored classic motorcycles listed on our extensive Motorcycles For Sale pages. 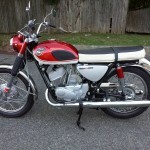 We regularly feature very nice restored Kawasaki A1 Samurai – 1968 bikes for sale. 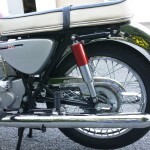 Spares and Parts for your Kawasaki A1 Samurai – 1968? 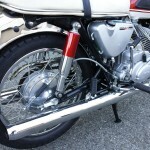 Workshop Manual for your Kawasaki A1 Samurai – 1968? 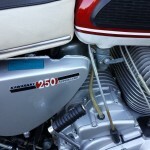 Hi Dave we’re an enthusiast website displaying photos and stories of some wonderful bike restorations.